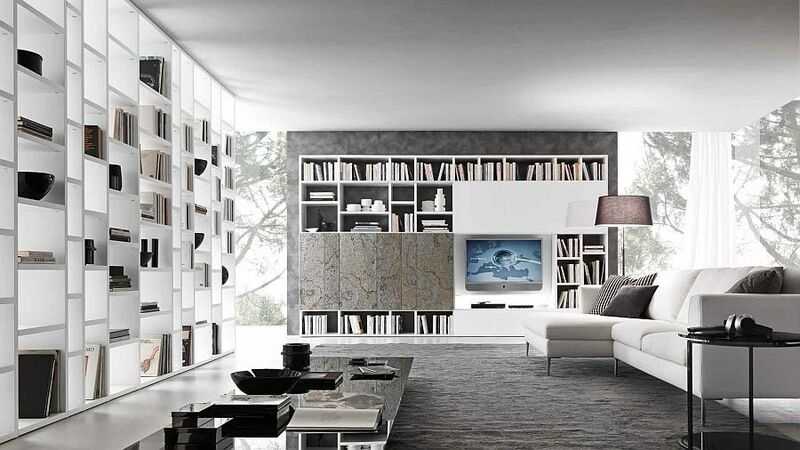 Organizing a living room and finding that perfect balance between form and function is indeed a lot harder than it sounds. 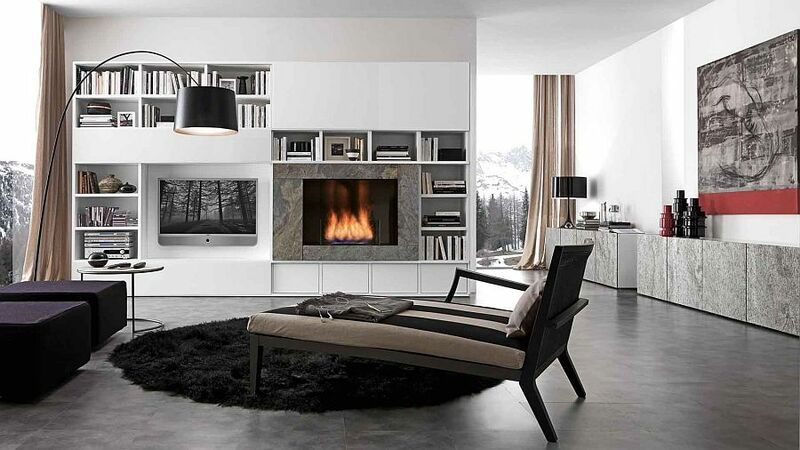 Each living room has its own floor plan and limitations in terms of space, and of course every homeowner has his or her own idea of the ambiance it needs to exude. 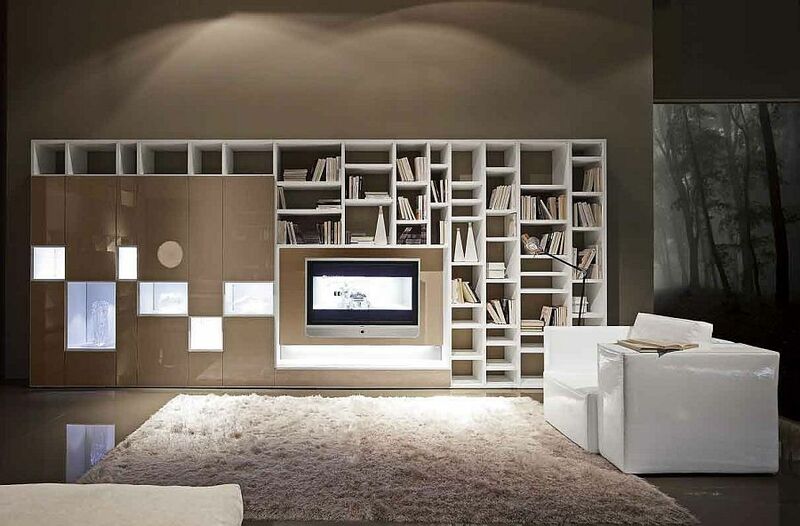 While some prefer a dynamic entertainment center at the heart of it all, others opt for a wall of books coupled with a cozy reading nook. 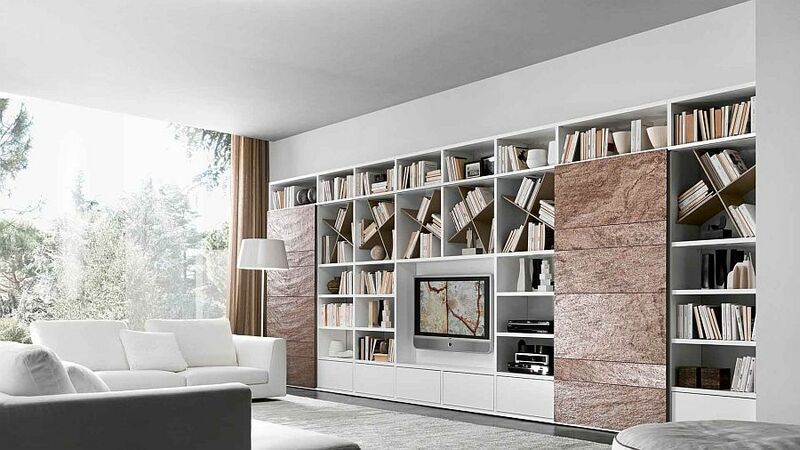 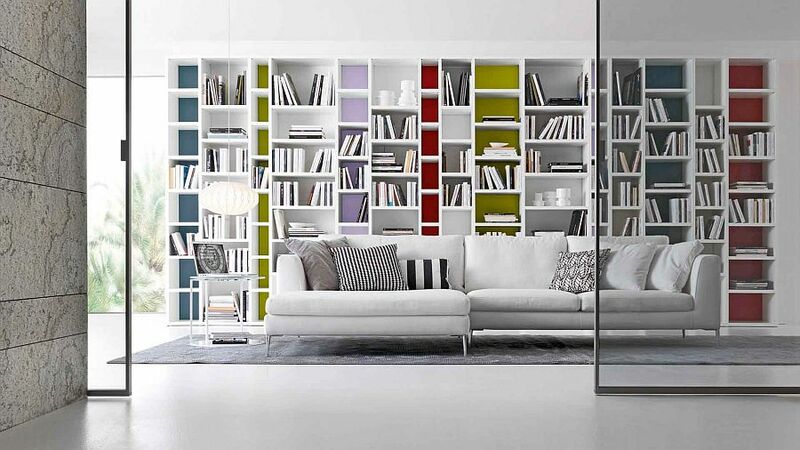 Satisfying this need for an adaptable and exquisite living room wall unit is the Pari & Dispari Bookcase System from Presotto. 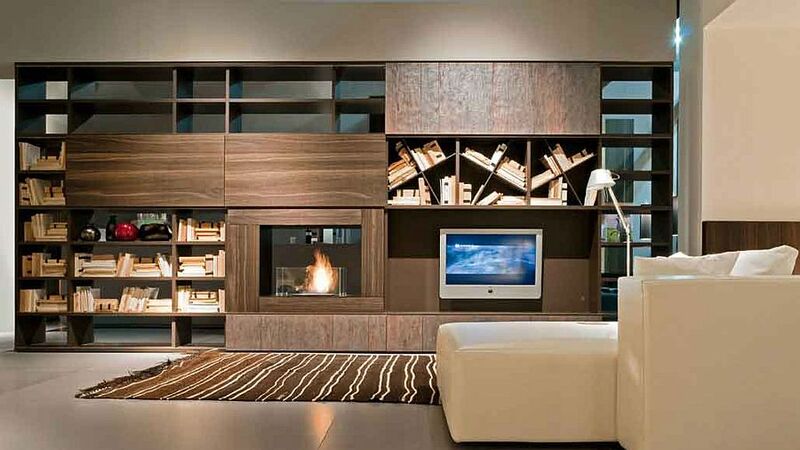 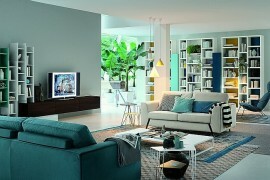 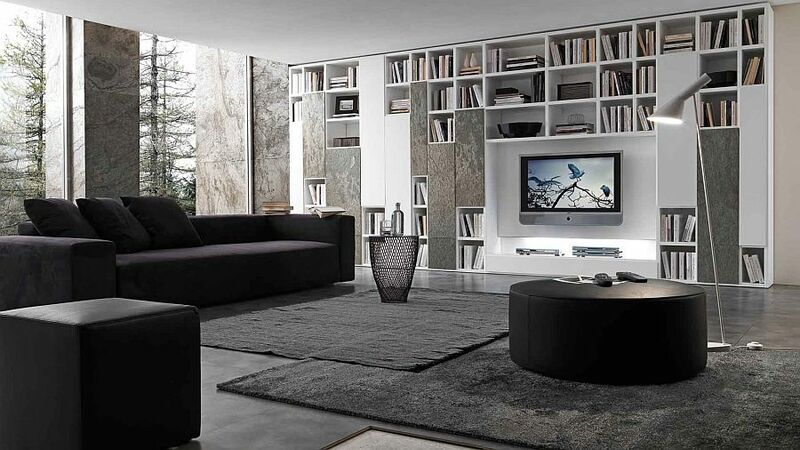 The modular system allows you to craft a living room wall unit that fits your specific needs with ease. 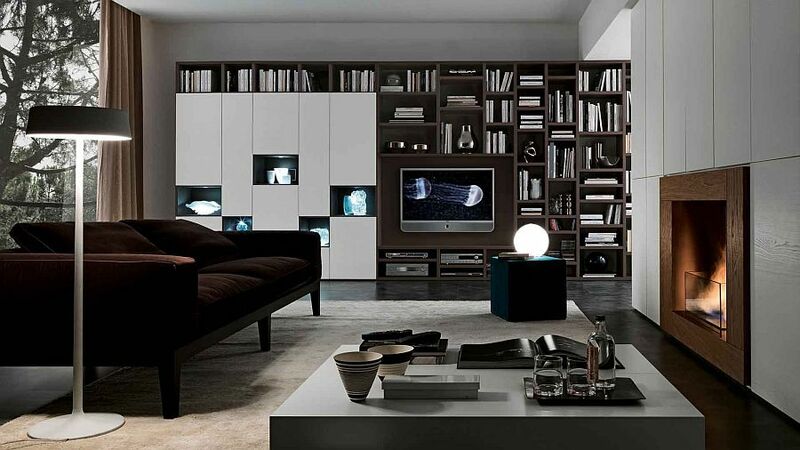 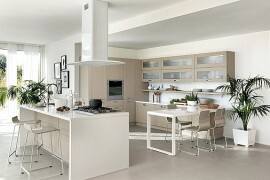 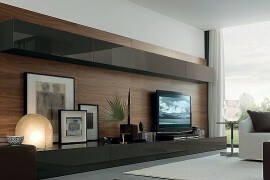 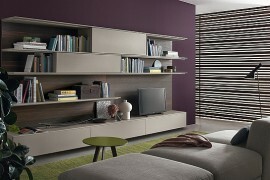 On the surface of it, Pari & Dispari looks like any other wall unit system filled with open shelves and closed units. 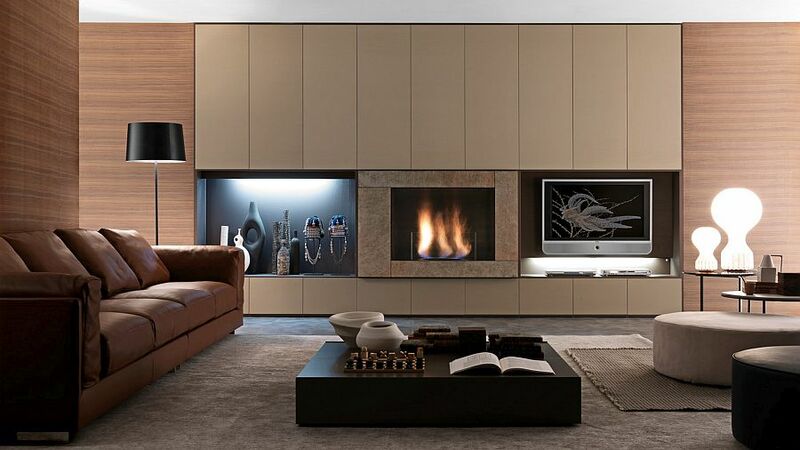 But look deeper and you will notice an array of features that include sliding doors than can be crafted using materials ranging from copper and stone to glass and wood, compositions that include TV, entertainment systems and even fireplaces, and of course an ability to grow along with the needs of your family. 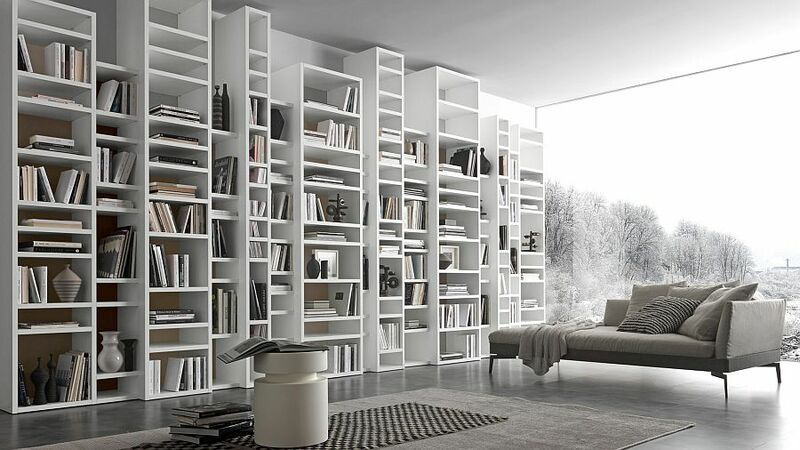 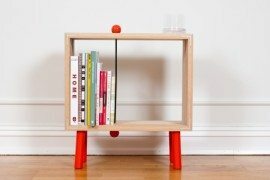 Allowing you to display your love for books, you can start off slow and add additional units as your home library starts to grow over time. 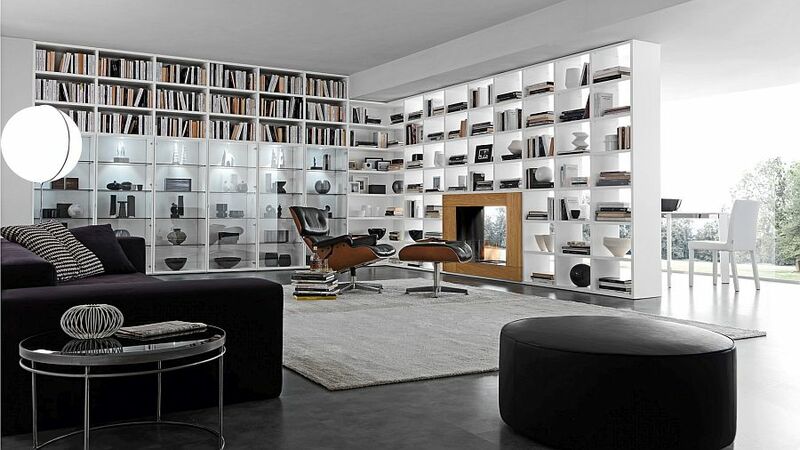 These bookcase systems are also perfect for those who want a more organized and possibly ‘professional’ home office or studio. 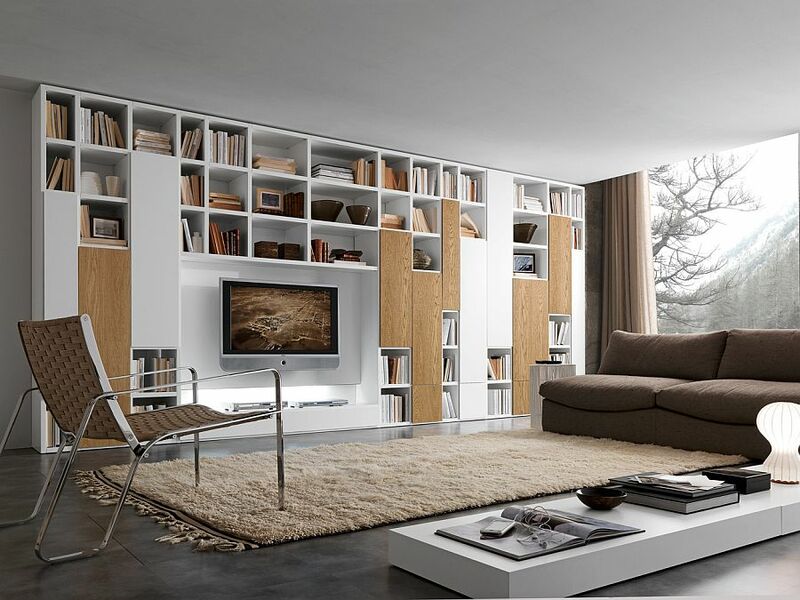 You can even use the models without a back to create a smart partition between two spaces in an open plan living area, even while letting natural ventilation flow through unhindered. 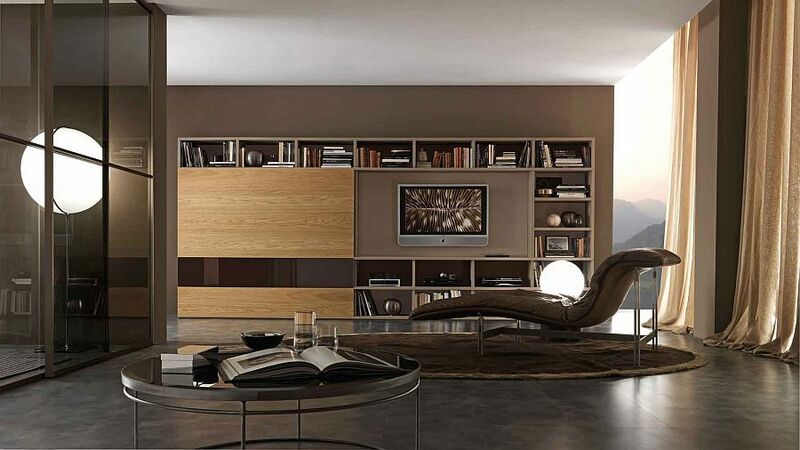 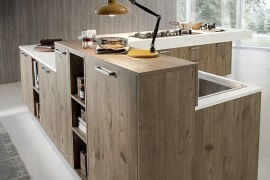 Smart, stylish and versatile, Pari & Dispari offers endless possibilities.